Whether you are looking to develop psychic abilities or doing some other form of magic, doubt, fear or negativity creeping in can affect your results. The more you practice magic that works, the more confident you will become. Part of that practice with many forms of magic including developing psychic abilities is establishing a strong relationship and good communication with the Universe. The more you see verified results of information you have received from the Universe, the more confident you will be in using techniques and in your quest to develop psychic abilities. Here is an exercise we present in our Psychic Development ebook that you can practice to develop this type of confidence. Each morning, decide on an event or thing to attract into your life that day. It could be any item, a song, a person, or just about anything. State out loud that you would like the Universe to show you the subject you have decided on sometime during the day. Throughout the day, watch for signs from the Universe connected to your chosen subject. The answer could come in a very obvious way, but it also could come in a much more subtle way, so keep alert. For example, if your subject was "cherries", you might be given a bag of the actual fruit, or maybe the vanilla ice cream you order for dessert comes with a cherry on top. 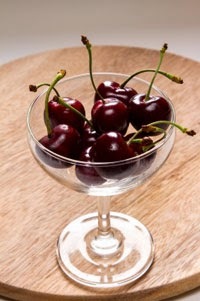 But more subtle responses could include hearing a song with the word cherries in it, or reading a magazine article that mentions cherries, hearing the word in a stranger's conversation or smelling a cherry scented candle. You get the idea, be open to a multitude of ways your chosen subject can be brought to you. If at the end of the day, you have not received a sign or message with your chosen subject, don't worry about it. Just try again the next day. When you ask the Universe this time, add that you want the subject to be shown to you in an obvious way that you can easily understand. The point of this exercise is to get practice refining your communication channels with the Universe, so the more practice you get, the more confident you will be in those communications. Keep refining your request and staying alert for responses until you are getting reliable, verifiable results most of the time. Tarot and Divination: Why Use a Signifier? Most people using tarot and divination today do not use signifiers. We find using signifiers useful however in doing tarot and divination and teach this method to our students. 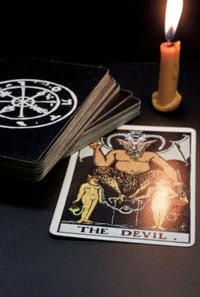 A signifier is a card that represents a person or situation that you are doing a tarot reading on. Using a signifier helps define a specific situation, issue, or question that the reading is about. We also key the signifier which ties it personally and more specifically to the reading. Signifiers for people generally are chosen according to their chronological age and their sun sign. In the Waite-Rider tarot deck, which is the one we have our students' use the following guidelines help determine the signifier to use. So for example, if doing a tarot and divination reading on a 40 year old Libra man, you would use the King of Wands for the signifier. Likewise, for a reading on a 32 year old Aries woman, the signifier would be the Queen of Swords. You'll notice I said earlier that this is generally how the signifier is selected for a person for their tarot and divination reading and that these are merely guidelines. You also want to consider the individual person, their behaviors, characters and actions and take this into consideration when picking a signifier. For example, you may be doing a reading on a child who is much more mature or responsible than usual or you may be doing a reading on an adult who is particularly immature. This could affect the card that you pick for a signifier. Also the deck you are using can have other options. For example, in the Crowley deck there is a female and male card for the Page presented as Prince and Princess. The Knight in this deck represents the adult male because of Crowley's belief that there is no such thing as an adult male since in his view males never reach maturity. If you cannot find a tarot card to represent specifically what you are doing a reading on, you can make your own signifier using pictures, logos, business cards and similar items. 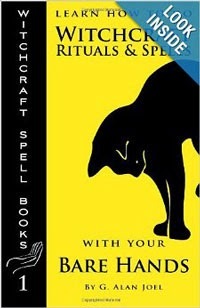 Place these items in the same place to the left of the reading that you would if using a tarot card. Whichever type of signifier you use, placing it upright will instruct the reading to how conditions that favor it and reversing the signifier or placing it upside down will instruct the reading to show you conditions that will prevent a favorable outcome or problems that you may encounter. Tarot and divination are a very interesting part of magical study, but as you can probably tell there is much to learn in order to become proficient at it. If this is an area of magic that you are interested in pursuing, take a look at our Tarot Homestudy course. This course will help you with the meanings of the cards, how to throw and interpret readings and pick signifiers. Tarot and divination are a great way to access information and see what may lie ahead in the future for any given person or situation. Having this type of information can allow you to make a change in the present that will affect that future if you don't like what you see. Using signifiers in your readings lets you get very specific as to what your reading is about so that you get the best information you can to make choices and decide outcomes for your life. Protection magic can sometimes offer you the best self defense. One technique students' learn in our Magical Self Defense homestudy course is how to use protection magic to turn the tables on an attacker and use the attacker's own violence against him or her. For those who are not inclined to use violence or fighting type techniques themselves, this technique offers a way to protect themselves just by transferring the attacker's own energy back at him or her. Basically you provide yourself with the best self defense magic has to offer by pulling the angry, violent energy emanating from the attacker, storing it in your own body to let it build force and then releasing it back towards the attacker in a single blast of energy. You should be aware before engaging in this type of protection magic that it can hurt the other person and in some cases, according to where you redirect the blast of energy, be lethal. For this reason, you will want to make sure you are within your rights according to the Rules of the Road that govern magical practice to use a technique like this. If someone is physically attacked you and you have not instigated the attack or done anything to cause it then you are certainly within your rights magically to engage in any means necessary to protect yourself. This magical protection technique in a sense allows you to use your own body as a lightning rod. Here's how it's done. - When grabbed or attacked instead of showing resistance, just go limp. This is so that you do not waste any of your own force. - Use your body to pull in the attacker's energy into your own body as quickly as you can. The attacker's energy will probably be fire energy in the red orange and yellow orange bands which correspond to anger, anxiousness, fear, stress, pain and other emotions that the attacker will be more than likely be radiating. It will be obvious and probably strong and since fire energies are radiative, they should be easy to pull in. -Continue pulling the energy from your attacker as quickly as you can, storing it all up in your body until you feel the attacker begin to relax. - At this point flow all the energy you have stored up into your output hand (the hand you point with). - You can add in any red orange or yellow orange fire energy of your own to the stored energy and flow that also into your output hand if you wish. - As you use your fingers to tap one of these areas flow all the stored energy out your fingers in a smooth, quick flow. Your results will vary according to the strength of the blast of energy released onto the attacker, the target area you flow it into and the band or bands of fire energy released. In many cases, especially using the over the heart target area, the results can be lethal. It may appear to others as if your attacker has had a heart attack. So again make sure you are within your magical self defense rights and that you are prepared for this type of outcome before you decide to engage in this type of protection magic. Magic can be fun, but in cases of self defense, magic can be serious and save your life. Stay calm, think it through and you'll find yourself prepared and able to give yourself the best self defense that you can. Psychic games are a fun way to develop psychic abilities. Psychic games can help us develop our Spirit senses to get information. We all have psychic abilities. Some people just have a more natural talent than others. Those without the natural talent need to practice to develop psychic abilities. Psychic games are a perfect way to get the practice tuning out the five body senses and tuning in spirit abilities. When you start practicing to develop psychic abilities and using psychic games, don't get frustrated with initial results. Learning to ignore the outcome is one of the keys to success. Over time your psychic abilities will get stronger and more accurate. In the beginning don't worry about if your results are "right" or not. Keeping this in mind, here's one of the psychic games we present in our Psychic Development ebook for you to practice with. This psychic game starts you on your way to develop psychic abilities by shutting off one of your five senses. In this game you will close your eyes, thus cutting off access to visual data. This allows you to access or "read" the psychic or energetic information around you. Here's how to play the Perimeter Game. 1. At least once a day (and obviously not while doing something such as driving) set up an energetic perimeter around yourself of about 10 – 20 feet preferably in a public place. 2. Here's the part that tells you why you don't want to be doing something like driving during this game – Close your eyes. Close your eyes and in your "mind's eye" see a circle of energy surrounding you. 3. Be aware of anytime someone enters your perimeter area. 4. When you have the sense that someone has entered your area, open your eyes to confirm it. 5. Once you play this psychic game enough that you are getting accurate at sensing someone entering your area, you can increase the diameter of your circle or take another sense out of the equation. For example you might pick a noisy area so that you don't have your sense of hearing. Have fun and develop your psychic abilities at the same time with psychic games such as the Perimeter Game. Remember that having fun, relaxing and not putting emphasis on initial "results" is all part of the process. Check out the ebook for more psychic games and exercises that will help you claim your birthright to use psychic abilities to access information not available through the five body senses. Is Magic Real? We encourage you to discover the answer for yourself. A good place to start discovering the answer to the question Is Magic Real is with magic rituals. A very powerful ancient ritual to start with is the Exit Ritual. The Exit Ritual is one of three parts of the Navajo Beauty Way. The Exit Ritual is a contact and greeting ritual that connects you with higher powers and beings. It is totally non-denominational so it doesn't matter what Higher Power you believe in or what if any religious practices you adhere to. The Exit Ritual also brings you a sense of peace and serenity, helps you establish relationships with higher beings that can help you gain information or work on manifestations. The Exit Ritual also realigns our chi or life force, which can become distorted from working and living in buildings with strong electromagnetic fields. The Exit Ritual is done every time you leave an enclosed space. That might be your home, a building of any kind, a car and other similar places. Here's what you do when you get outside. 1. Look up towards the sky, extend your focus and out loud say, "Sky Above". 2. Keep focusing awareness above you and now extend your focus into the Earth and say out loud, "And Earth Below". 3. Keep awareness focused now both above and below and out loud say, "I Greet You". 4. Pause for a few moments longer and be aware of either some kind of change within yourself (change of attitude, new awareness), a change in the environment (sudden breeze, change in color of sky, animal or bird suddenly appearing, plant life becoming vividly visible), or a message from Sky or Earth heard like a voice in your head (answer to question, new direction, guidance). 5. You can also raise arms in a V toward Sky for step 1 and lower them in a V towards the Earth for step 2. If you are in a public place with a lot of people around you may initially feel that doing this makes you uncomfortable. That's OK, you don't have to use the arm motions. If you find this embarrassment factor coming into play you also don't have to say the words too loud, but you do need to vocalize them. You'll probably find with time that most people won't really notice what you are doing (they're more concerned with their own happenings) and that it will look to them like you are just standing still for a brief time trying to remember something. After you have done the Exit Ritual for a period of time, stop. That's right, stop doing it for a few days. Our approach to magic is that everything is a hypothesis and life is a grand experiment. After not doing the ritual for a few days evaluate the difference for yourself. How do you feel? How are your days different? Are your interactions any different? How is your life in general any different? Give it a try and check it out for yourself. We bet you'll find that doing the Exit Ritual will have a positive impact on your life. If you find this is true for you, start doing it again and if you feel like experimenting with more great rituals, check out our Kindle book, LEARN HOW TO DO WITCHCRAFT RITUALS AND SPELLS WITH YOUR BARE HANDS. Here's an online magic tip using water magic that is good to use with someone who does not observe your boundaries or is invading your sacred space emotionally. This could be with physical beings or non-physical entities. Basically this technique involves using your Chalice (magical tool of the Water element) to throw a bolt of Water Blue. Obviously, before using this online magic tip you will need a Chalice. It will also need to be keyed. Your magical Chalice should be a goblet shaped cup with a stem and preferably made of either glass or ceramic. Pick a Chalice that is either a Water Blue color or clear and that is either smooth or has a pattern if the pattern is not too deep. Since your Chalice is your water magic tool, it will need to be keyed to clear out any impure energy, personalize it to you and align the molecules for the energy to flow in a particular direction. There are more permanent ways to key the Chalice that you will find in our Chalice ebook, but for the purposes of this article, here is a quick key method. Begin circling water blue from your output hand through the chalice into your input hand, up your input arm, across your shoulders down your output arm and out your output hand again. When using your Chalice to throw a bolt of water magic energy, you hold your Chalice in your output hand (hand you point with) with your thumb and forefinger around the bowl of the Chalice and the rest of your fingers wrapped around the stem of the Chalice. To adjust the strength of the bolt, move your thumb and forefinger up and down the bowl. The bolt is more focused the closer your fingers are to the stem because energy flows from the bottom of the bowl and your fingers act as the energy feed. The farther apart your fingers are, the more scattered the bolt is. Load up Water Blue from a color source into your Chalice pulling it in through your input hand, across your shoulders, down your output arm and hand and into the Chalice. Hold your arm with the elbow at a 90 degree angle Then see an image of the person that is invading your space in front of you, aim towards that image and use your Chalice to throw an energy bolt by snapping your arm down to a 180 degree angle with the bowl of the Chalice pointing towards either head, throat, solar plexus or heart areas of the image. If you are dealing with a non-physical entity, throw the bolt in its direction and say, "Go away and stay away!" The next time your sacred or personal space is invaded you now know how to handle it magically using this water magic tip. No stressing about confrontations or having to convince someone to respect your boundaries, just create an energetic mockup of the intruder, and give them a blast of Water Blue energy from your Chalice and they will back right off. To learn more about the magical things your Chalice can do, check out our Chalice ebook.